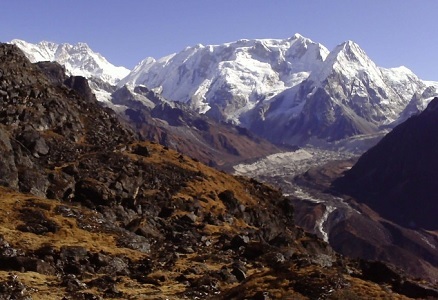 This is one of the most beautiful trek of Nepal in a non tourist area. 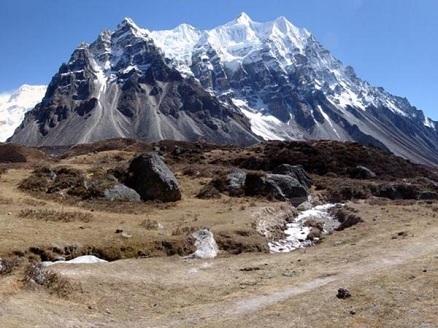 This is a long and challenging walk around Mount Kanchenjunga visiting both North and South Base Camp. 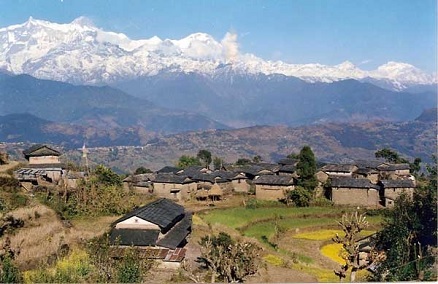 Kanchenjunga region is situated in Taplejung district that borders with Tibet in the north, Sikkim India in the east and Sankhuwasabhu district in the west. 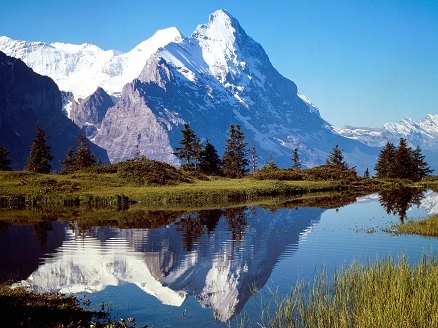 This trek approachs the base camp of the south face of the world's third highest peak in the world. 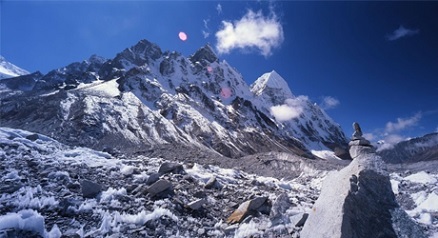 You will also experience every climate Nepal has to offer from steamy jungles to jumbled glaciers. Upper stages of the trek pass through a desolate valley scoured by icy mountain winds. The views above Ghunsa are breathtaking even by Himalayan standards. During the spring season the area has an excellent display of flowering rhododendrons, orchids, lilies, primulas and many other flowers. This conservation area has 15 endemic flowering plants. Almost all the 30 kinds of rhodondendron species are found here. There are also 69 species of orchids available. This area harbors a rich diversity of wildlife including the endangered snow leopard, himalayan black bear, musk deer, red panda and blue sheep. Impheyan pheasant, red billed, blue magpie, shy drongo are some of the many birds found in the area. This conservation area has a lot of ethnic diversity and culture. 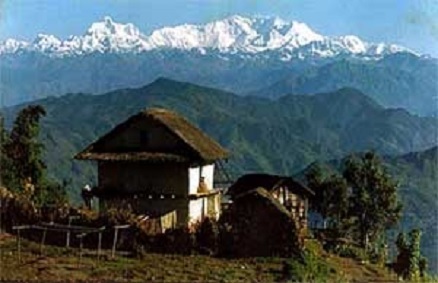 As the original settlers of the upper Tamur valley, Limbu are the dominant ethnic group in the lower regions. 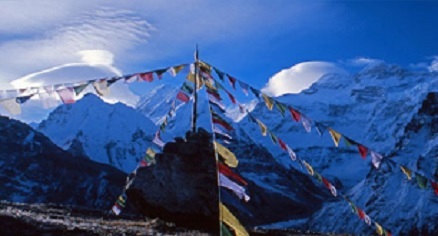 Sherpa people leave in the higher altitude where they arrived from Tibet. These Sherpa have a district culture and tradition from those leaving in the Solukhumbu district in the Sagarmatha region. Rais, Chhetris, Brahmins and other casts have been living in the area. Monasteries, chhortens, temples, prayer walls are the icons of this conservation areas and cultural heritage. Lowlands are full of tropical hardwoods and these get replaced by oaks and pines as the elevation increases. - Day 1: Kathmandu to Bhadrapur by flight (45 mn). - Day 2: Bhadrapur to Taplejung 1820 m by bus (7-8 hrs). - Day 3: Taplejung to Mitlung 890 m (4-5 hrs). - Day 4: Mitlung to Chirwa 1185 m (5-6 hrs). - Day 5: Chirwa to LeLe 700 m (4-5 hrs). - Day 6: Lele to Amjilasa 2498 m (5-6 hrs). - Day 7: Amjilasa to Gyabla 2725 m (4-5 hrs). - Day 8: Gyabla to Ghunsa 3415 m (4-5 hrs). - Day 9: rest day at Ghunsa and side trek around the valley. 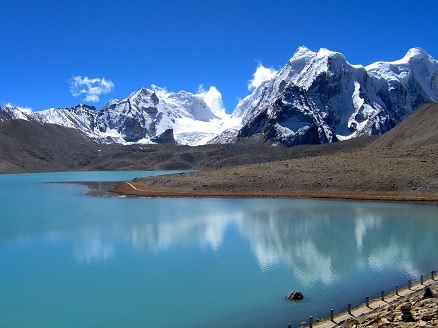 - Day 10: Ghunsa to Khambachena 4145 m (5-6 hrs). - Day 11: Khambachena to Lhonak 4792 m (5-6 hrs). 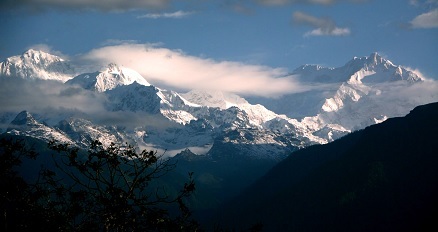 - Day 12: Lhonak to Pang Pema 5140 m, Kanchenjunga north base camp (4-5 hrs). - Day 13: rest day at Pang Pema and visit around. - Day 14: Pang Pema to Khambachena 4145 m (5-6 hrs). - Day 15: Khambachena to Ghunsa 1415 m (4-5 hrs). - Day 16: Ghunsa to Kharka Tallung 4400 m (5-6 hrs). - Day 17: Kharka Tallung to Tseram 4645 m via Selele pass (7-8 hrs). - Day 18: Tseram to Ramche 4610 m (4-5 hrs). - Day 19: Ramche to Tortong 2980 m (5-6 hrs). - Day 20: Tortong to Sherpa village 1750 m (6-7 hrs). - Day 21: Sherpa village to Phumphe Dada 1860 m (6-7 hrs). - Day 22: Phumphe Dada to Khade Bhanjgang 2190 m (5-6 hrs). 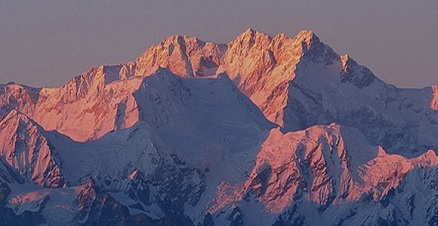 - Day 23: Khade Bhanjgang to Lali Kharka 2266 m (5-6 hrs). - Day 24: Lali Kharka to Suketar 2420 m (3-4 hrs). - Day 25: Suketar to Biratnagar by flight (30 mn). - Day 26: Biratnagar to Kathmandu by flight (50 mn). It is a long adventure to the most remote and beautiful area of Himalayas. 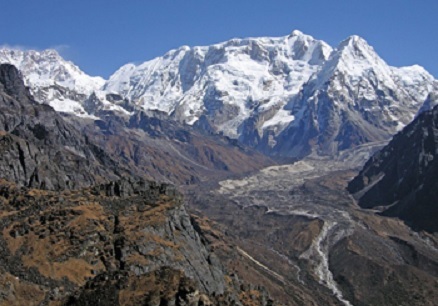 Nepal government enforces that there should be at least two trekkers in a group to trek in this region. This trek begins right after landing at the Stol airstrip in Taplejung.